Sorry for this folks but I’m really pissed off. This isn’t going to be the unicorns and hugs I normally write about as I need to vent about two things close to my heart, birth photography and feminism. Yesterday on Today Show, Lisa Wilkinson and Deborah Knight took it upon themselves to attack and malign one of my beautiful clients about her choices as part of her birth on national television and it just breaks my heart. Their main issue as they stood upon their soapbox… that a first time Mum dared to get a blow wave and do some makeup to feel her best at a time when she is insecure and scared, and then to have the temerity to share an image of her pride, of her accomplishment afterwards publicly. Lisa’s comments about supporting women such as “I just know that you live a much richer life embracing other women and encouraging each other than the alternative.” (news.com.au – 2014) as shown to be just hot air to try to flesh out what is apparently an empty, hypocritic husk of a woman. Such a shame she feels so empty inside that she needs cut down others. And to call herself a feminist while doing it, for shame! What really gets my goat is the further implication that birth should be private. 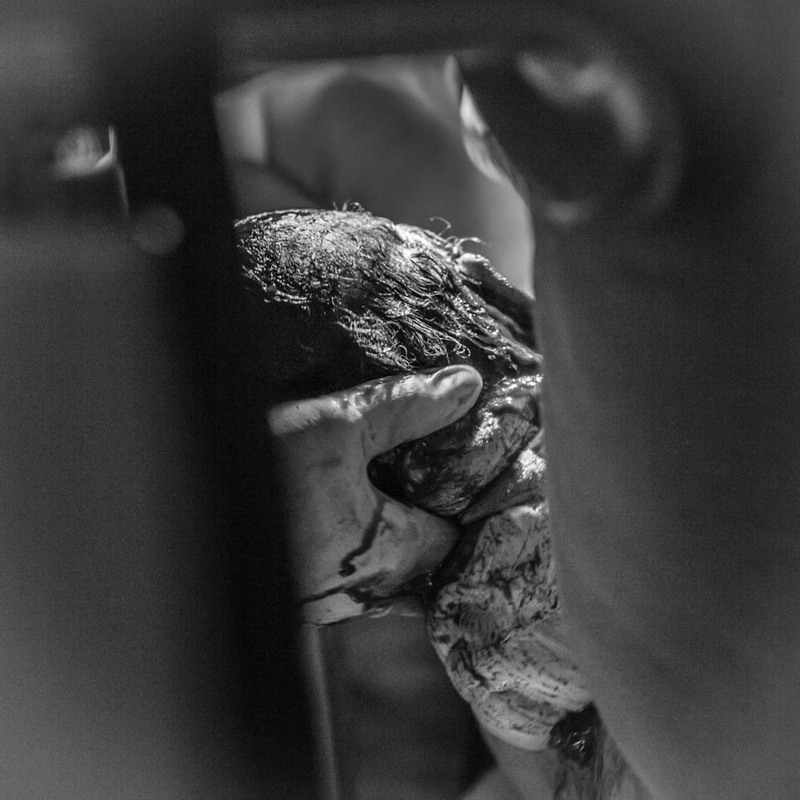 Birthing is inherently private, but of course we all share some images. Every single parent (usually Dad) shares an image on social media now of mum and bub all healthy and happy after the ordeal is over. Somehow Lisa and Deborah Knight have decided that there is some invisible line in the sand as to what is appropriate and not appropriate as if they are the judge and jury of propriety. The majority of my birth clients keep their images locked away in a beautiful photo album, much like a wedding. The difference being that many tell me they pull those photos out and look at them when they are feeling low, as nothing is more empowering than knowing you created life, and went through what we go through during childbirth. To belittle that drives me crazy, not for me and my business mind you (we are booked out months in advance anyway and this publicity has given us the gift of many more enquiries on top of those) but for those women who were curious, for those women who are nervous or scared and now thing there is something perhaps wrong with wanting to document the most important day in someone’s life. It just makes me mad, so much so that I had to go back and look at the strength and determination on the faces of some of my wonderful past clients in their birth photos to get me through. With their permission, I’m going to share some of my favourites with you now. Lisa and Deborah, have a long hard look at real strength and then take a long hard look at yourselves. Each of our birth clients desire a single outcome from capturing not just their birth, but their journey to birth. Some of those moments take time to edge towards meeting your little one, others like Michelle and Rob, created a speedy situation with little Zoe in a hurry to enter the world. 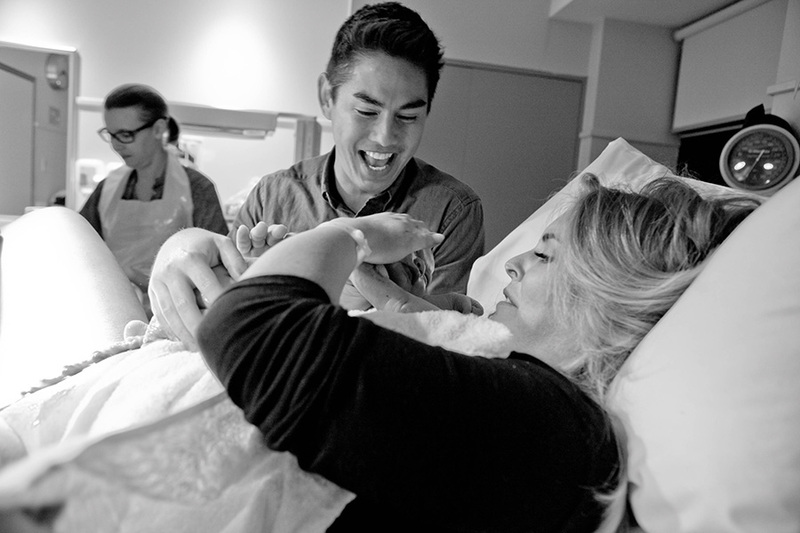 Your birth journey should be just as you wish, with our service to capture the stages you choose. Many of our clients capture from Bump, to birth and beyond, to choice is yours. Caught between two worlds, just moments before you take your first breath. You take my breath away little one. 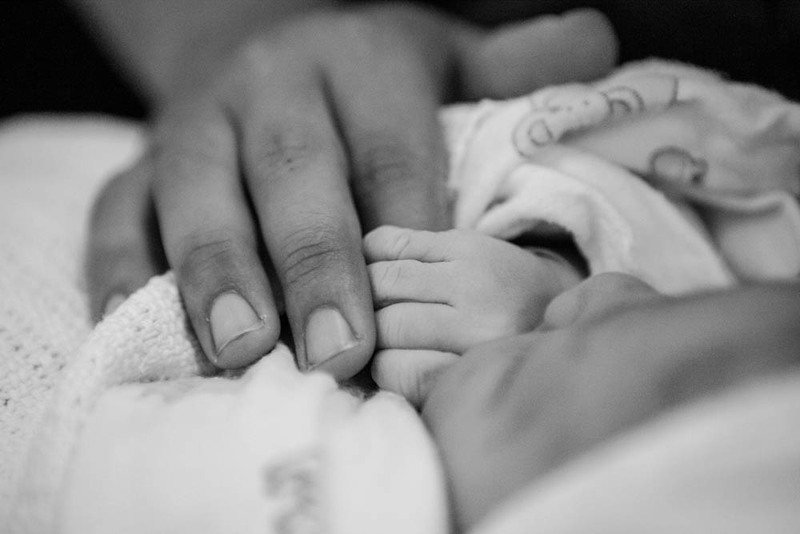 The first moment when that little hand wraps it’s tiny fingers around yours is breathtaking. You created this person, and he is beautiful. Thank you Bec and George for choosing me to capture this amazing chapter in your lives. The moment when everything gets quiet for just a few seconds and your little one is not quite born yet. 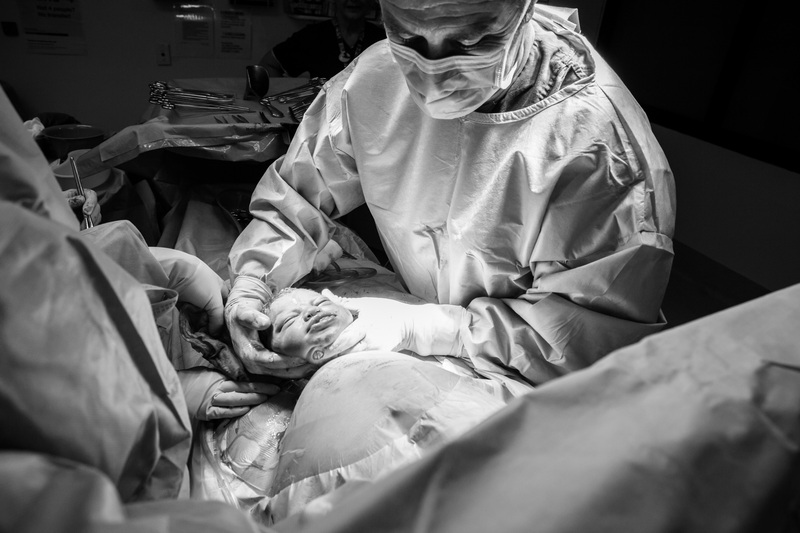 So much of the focus for birth photography is on the mother to be and the partner, but there is another significant element to be considered, the obstetrician. 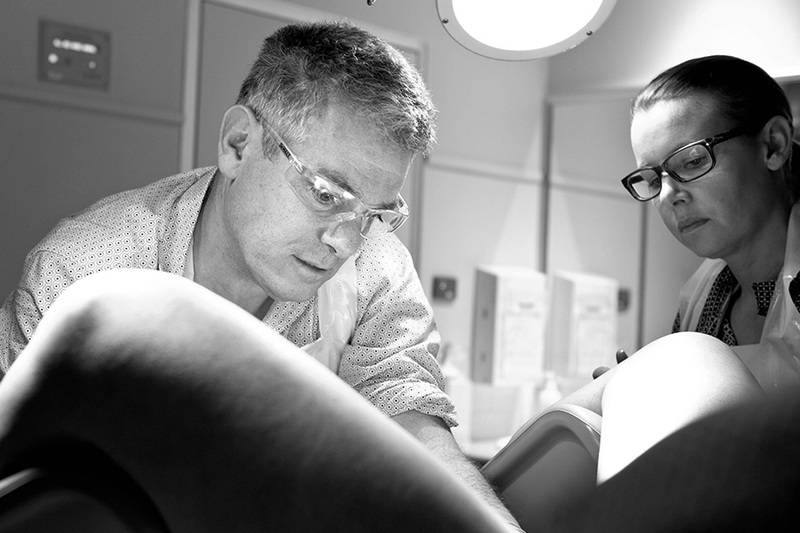 In the past we have been delighted to work with Dr Lionel Steinberg, an incredibly forward thinking obstetrician with focus on empowering women through their labour to reach healthy and natural delivery. Being on the same page with your partner is vital to keeping your birth journey calm and heading in the positive direction you want it to. First time Dad, Richard, has kindly given us a glimpse in to his thoughts when Kelly Jordan Photography captured his daughter’s arrival. First reaction to the words “birth photographer”? At first I was totally taken aback as I saw the birthing process as both so intimate and also not photo friendly in the slightest! 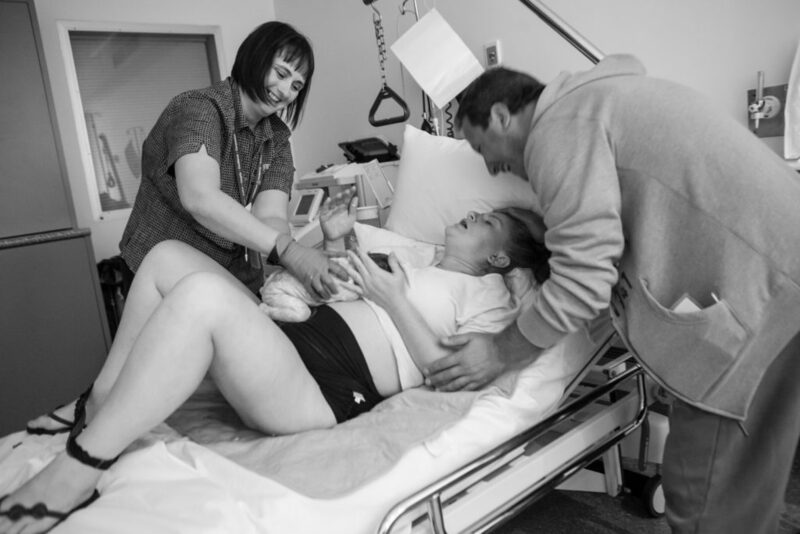 What convinced you to go ahead with having a birth photographer? Kelly showing us her previous birth photography work totally won me over. 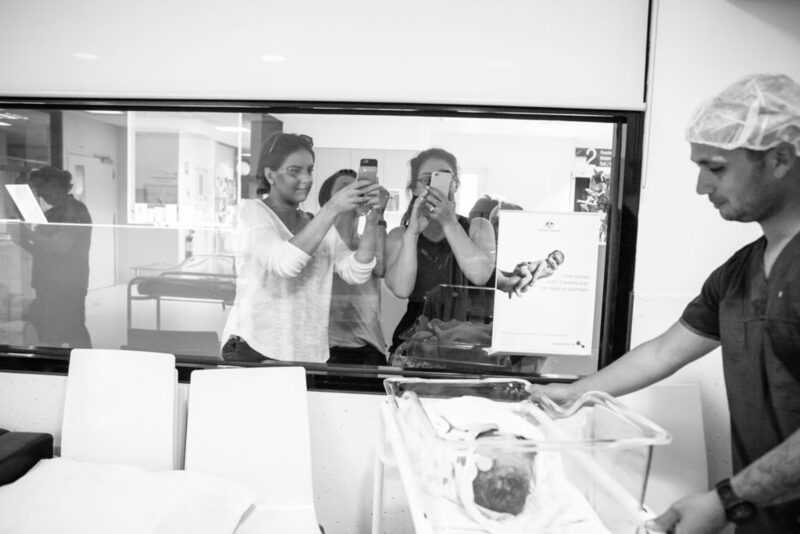 The sheer beauty of the photography, the sensitivity with which the images were taken and the capturing of the absolute joy and wonderment of the birthing process as told through still photography made me immediately lose all reservations. It became a must! How did you feel during the labour/birth? To be totally honest I didn’t even know she was there for most of the time. We kept the room very dim as per our birth plan, so I have no idea how she managed to capture such startlingly beautiful moments! Kelly is like a cat, you don’t see or hear her, but the images speak for themselves. On seeing your finished photographs, what do you feel about the entire experience? I was so happy we chose to do it! I could concentrate on being a support person instead of taking amateur shaky iPhone pics and missing “being in the moment”. Having do all the hard work left me free to enjoy the entire journey. And once I saw them they bright back every memory of the best day of my life. It also allowed my wife to see the process how I saw it, a beautiful and yet dramatic wonderful journey. We look at the beautiful album Kelly created for us on a weekly basis, and we chuckle at some of the pics, marvel at the honest beauty of others. And nothing will ever take the place of that very moment when Kelly perfectly captured Sarah Jane delivering Mia Grace herself once Dr Steinberg had delivered her head and shoulders. Truly magical! You want who at your birth? 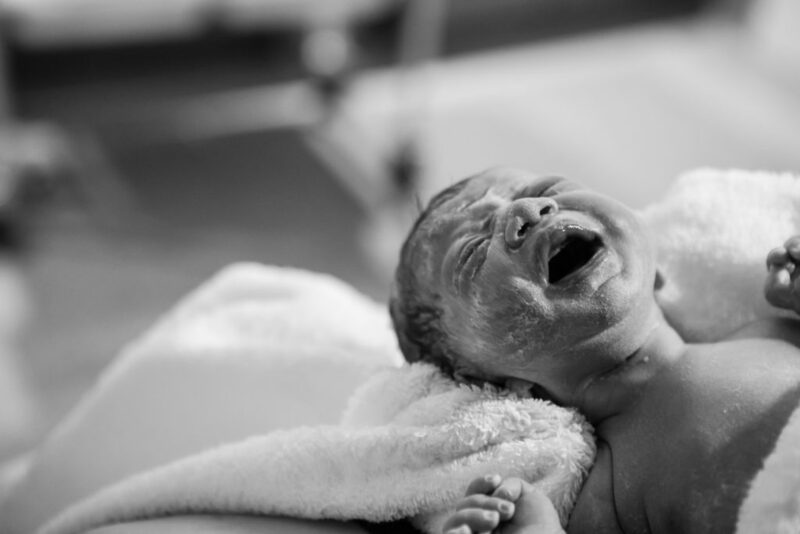 Having been through many birth photography sessions and seen a huge number of couples, I’ll list below what I consider to be the holy trinity of questions for those considering birth photography. Is my partner okay with birth photography? 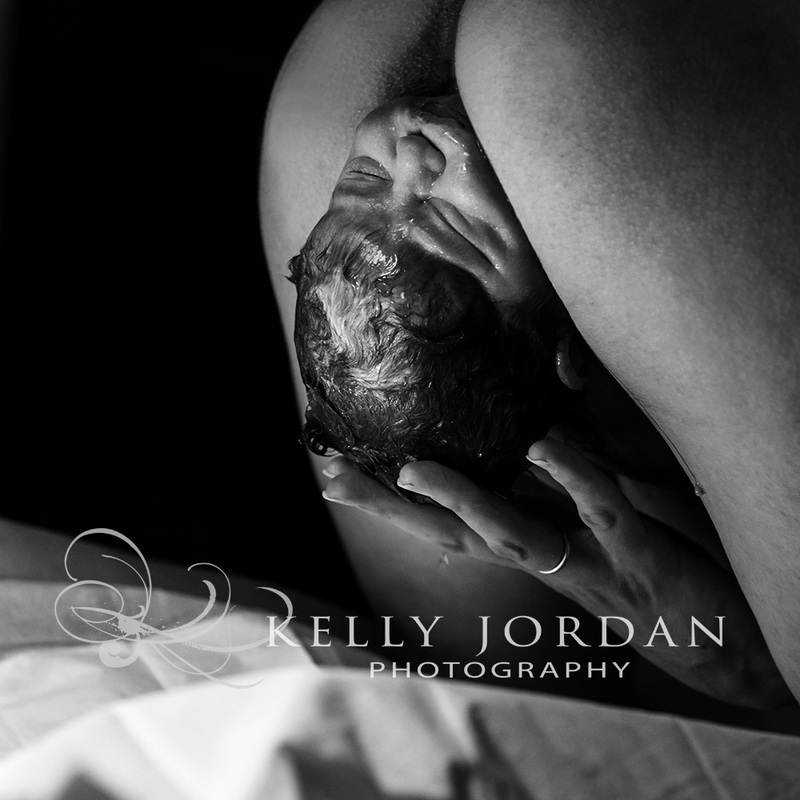 It’s veery important to make sure you are both on the same page with birth photography. Showing your partner beautiful photography and reassuring them that the photographer is a fly on the wall and absolutely non-intrusive can go a long way. 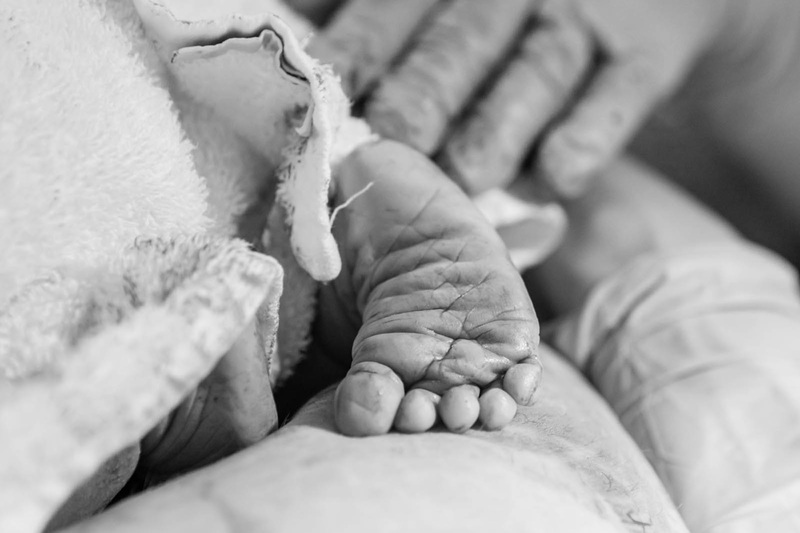 Is my ostetrician/hospital/doula willing to accept a birth photographer? 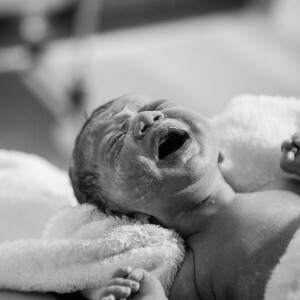 Not all obstetricians/hospitals/doulas are okay with having a birth photographer present. Most are, however some have had bad experiences with amateur photographers. Typically saying you are working with Kelly Jordan Photography goes a long way, but some may need some convincing that we will be in now way a distraction in the safe delivery of your little one. In this case, give us a call and we can usually help out. What should I expect during birth photography? Each and everyone of my clients remarks on seeing their photography that they had no idea I was even in the room (trust me, your attention will be elsewhere). Our job is to stay out of the way and capture the event. you and your family are the star of the show. As for what to expect from you beautiful photography, I believe our gallery is the best way to explain that. Click here to see our work. Make sure you share your due date with us. We will be on call from 37 weeks until your little one’s birthday, but due dates can change as you get regular check-ups towards the end of your pregnancy. Make sure you keep us informed. Once labour starts, send us a text message to let us know it’s happening. 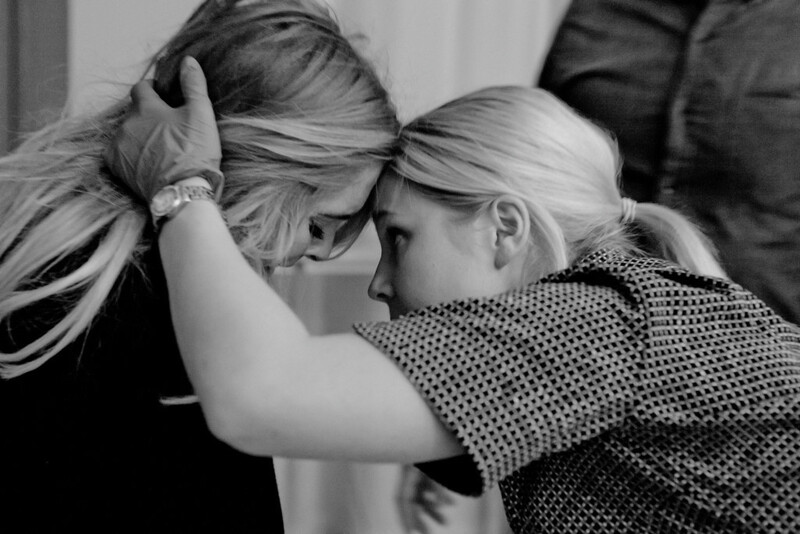 Once you are nearing to point of heading to the hospital, or your doula has arrived for your home-birth, this is the time to give us a call and we will arrive to ensure we capture everything. From that point on, we’ll stick around until the job is done. The bottom line is that every birth is different. The above are great guidelines, but are in no way are they a substitute for a conversation. Give us a call, we’d love to hear about your upcoming birth and to have a chat in more detail about what you can expect and how we can help.